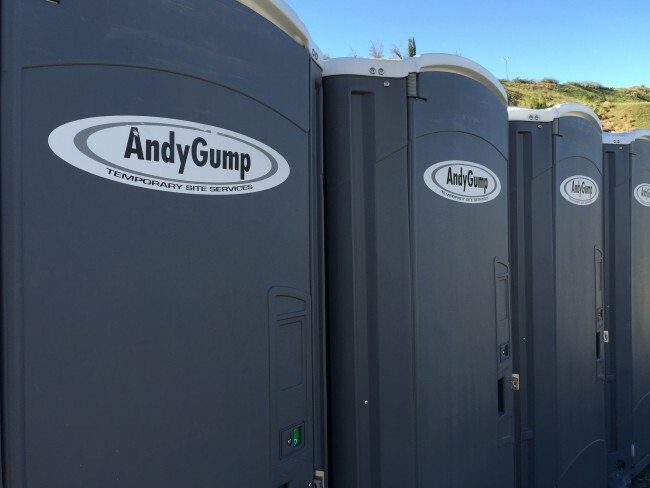 Andy Gump© offers a complete selection of individual portable restroom units, handwashes, and accessories. Ideal for all Film and TV productions, these individual portable restroom units feature durable construction with a wide selection of comfort amenities and access options and the cleanest units in the industry. These Portable Restrooms are a familiar sight at Film and Television production locations across Southern California because of their versatility and their pristine look from our attention to detail through servicing. We guarantee the quality and cleanliness of our portable restrooms and offer the assistance of our helpful staff through every part of the rental process. And best of all, our pricing is very competitive! Call us today and let us help you select the best portable restrooms for your event. Also available with optional Hand wash sink and Containment Pans upon request. 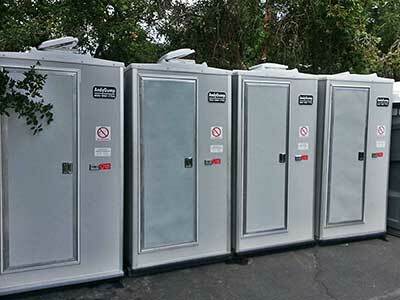 Deluxe Portable Restrooms are the ideal solution for ANY Hollywood or film set! We can supply these clean, modern, non-flushing special events portable restrooms to serve a crowd of any size. Perfect as a single unit, several together or groups spread out across your event for user convenience. Our convenient wheelchair accessible portable restroom meets the standards of the Americans with Disabilities Act (ADA). The Andy Gump ADA Compliant Portable Restroom door size (height and width), handrails (height and width), interior turning radius, door closing speed, ramping requirements and direct side transfer from wheelchair to seat all comply with ADA requirements.